Sunderland with the backing of a very expectant vocal crowd, started the better of the two sides. After just 6 minutes Oviedo had a great chance to score, but Bertrand did well to divert the shot for a corner. From the resulting corner Forster came out to punch clear, but totally missed it, fortunately the ball was scrambled away. Stephens made a very poor attempt to make a pass to Cedric and just totally gave the ball away. 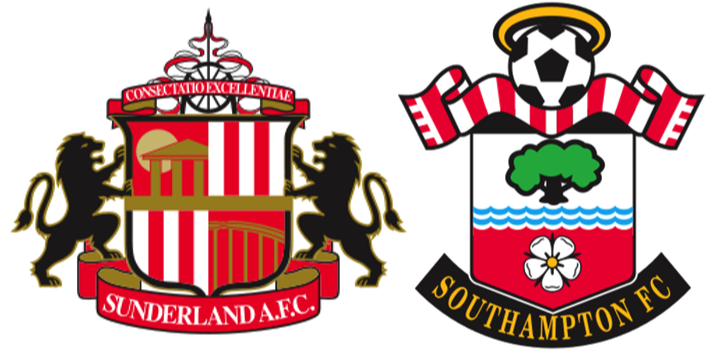 Redmond had to concede a foul to stop Sunderland from breaking through, although the resulting free kick was was a very poor effort. Januzaj seemed to just walk through Saints very open defence to set up Defoe, who really should have scored, but he put his shot wide. 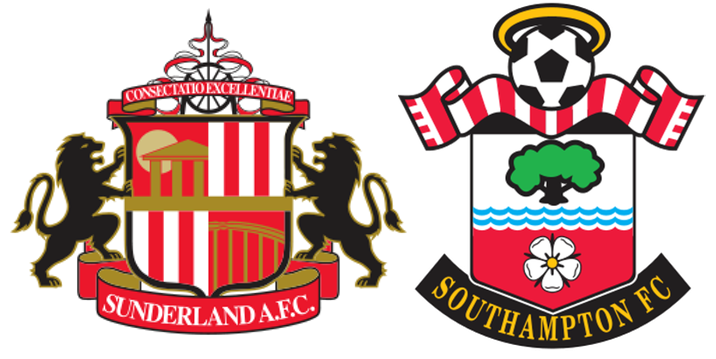 Sunderland were keeping Saints penned in their own half and Saints really were poor. Then, after 25 mins the game totally changed. I don't really know if it was a change of tactic, but Saints suddenly gained control of the midfield, the defence looked tighter and the attack looked more lively. Gabbiadini got behind the Sunderland defence and got forced wide, but played a great ball across to find Cédric in loads of space on the edge of the area. Unfortunately the Portuguese full back shot wide. On 30 mins Bertrand put in a great cross, Gabbiadini got between two defenders and knocked the ball past the keeper to put Saints in the lead. It was not obvious at the time, but replays showed that the ball went in off Gabbiadini's arm, there were no appeals from Sunderland players and the goal was given (Perhaps because the replay also showed two different Sunderland defenders with handfuls of the Italian striker's shirt - channonite). Saints now gained total control of the game, Davies, Ward-Prowse and Romeu were bossing the midfield, while up at the front, Tadić and Gabbiadini were linking together well. On the stroke of half time Saints got a second. Tadic played the ball to Gabbiadini, who did a very neat turn to give himself a free shot to beat the keeper. Sunderland made a substitution at the start of the second half, which also bought a change in formation. I've no idea what the plan was from Moyes, but it seemed to make the game easier for Saints, there was so much room for them to play in. Saints nearly got a 3rd on 50 mins when a Ward-Prowse corner fell to Gabbiadini, but his shot was deflected safely to the keeper. This game was now so one sided, the home side rarely getting into Saints half. With the Stadium of Light quickly emptying of home fans, Tadić had a shot well saved by the keeper. Then Ward-Prowse had a shot from about 30 yards, which was only inches wide, followed by a rare Ward-Prowse header from a few yards out, which really should have been the third goal, but he missed the target. With 15 mins to go Shane Long came on for Gabbiadini who had worked so hard all through the game. Long almost immediately scored, but the keeper did well to put his header over the bar. Just after this and not unexpectedly Saints got the third goal. Bertrand crossed, the Sunderland defender Denayer beat Shane Long to the ball but only succeeded in putting the ball in his own net. By now the Stadium of Light was virtually empty, I think a few of the home side defenders must have left too, as Ward-Prowse in acres of space played a one-two with Long, ending with a totally unmarked Shane Long stroking the ball past Mannone in the Sunderland goal, to get the Saints deserved fourth.